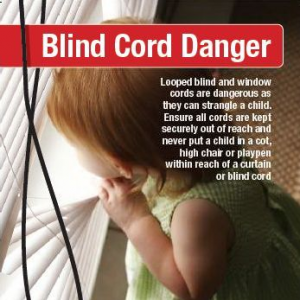 The cords used to operate traditional blinds and shades can cause hazard to your children and pets. However, almost every motorized blinds or shades are cordless and chain free, keeping your children and pets away from any kind of hazards. No matter where you are, you can control your motorized smart shades/blinds from your smart phone. Smart shades and blinds technology now allows you the convenience of controlling your smart shades/blinds using either a button in the room or a remote control from within the room or by using a smart phone from anywhere in the world. 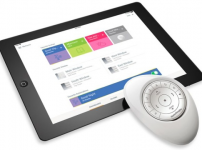 Features such as schedulers allow you to easily program your shades to raise or lower at any time of the day or night. You no longer have to struggle to open or close shades in hard to reach places. There is a wide range of motorized window treatments that are powered by Auto-Sense Technology, enabling them to automatically adjust based on the amount of sunlight. 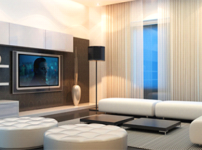 Autosense technology in smart shades and blinds can further cut down heating and cooling utility bills. Autosense technology ensures your furniture is protected from direct sunlight but automatically sensing the the amount of light coming in and controlling it as per your needs. As automated window treatments are energy efficient, they are environmentally friendly too. They lessen the use of artificial sources of lighting that creates environmental hazards. If you are looking for one of the best quality automated window treatments, look no further than Vogue Window Fashion. We are the largest retailer of window treatments in New York City and offer a wide range of smart shades and blinds that automatically adjust based on sunlight. We are authorized dealers of leading brands such as Somfy and Hunter Douglas. All of our automated shades are optimized for both North American and International (DIN) electrical standards, making them a perfect choice of many residents throughout New York City, and other parts of the USA.